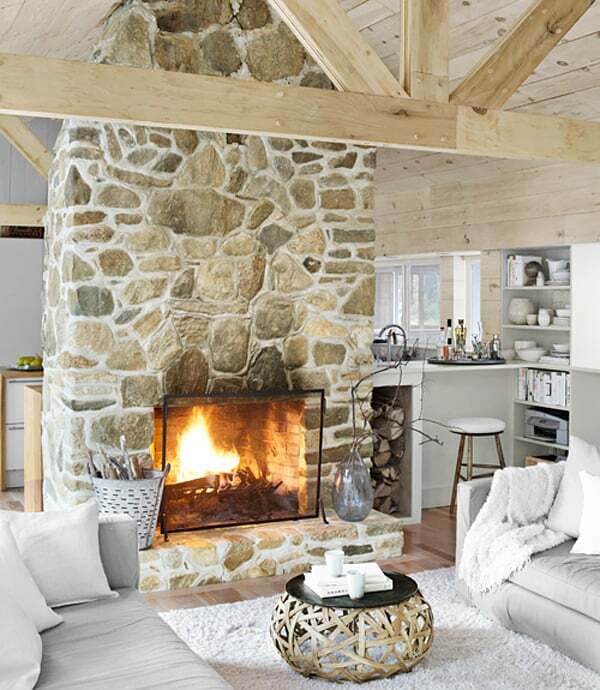 Having a fireplace in your home can generate a wonderfully warm and cozy living space, perfect for those brisk winter days to extricate the chill out of any room in your dwelling. 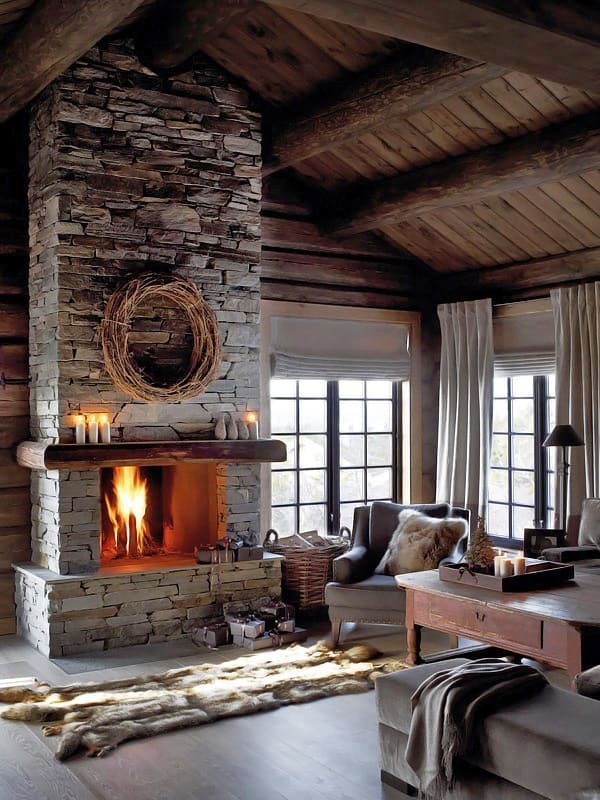 A fireplace is almost always the focal point of a room, adding warmth not just in the physical sense but also in the emotional ambiance of the space. 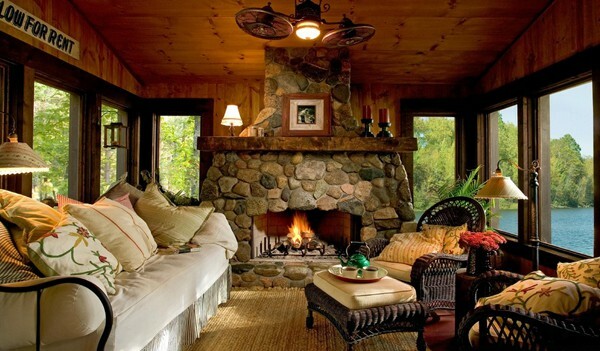 However, a fireplace alone doesn’t bring true comfort into your home. 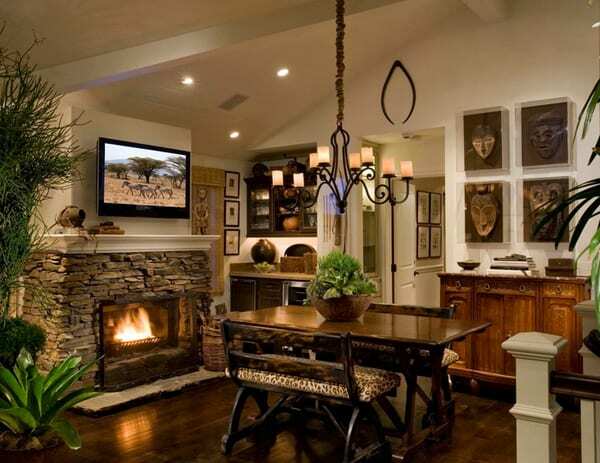 You need to add a few design and decor tricks to the space by selecting the right style, surround, and furniture to truly make it cozy. 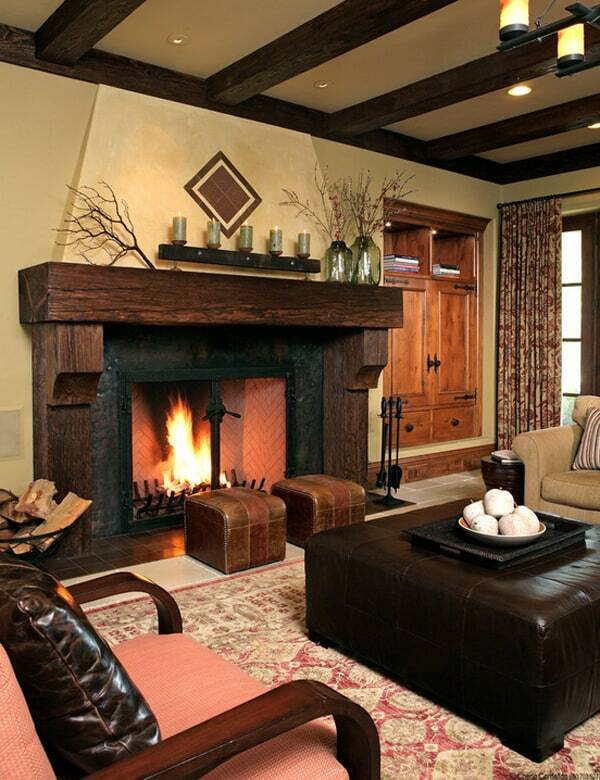 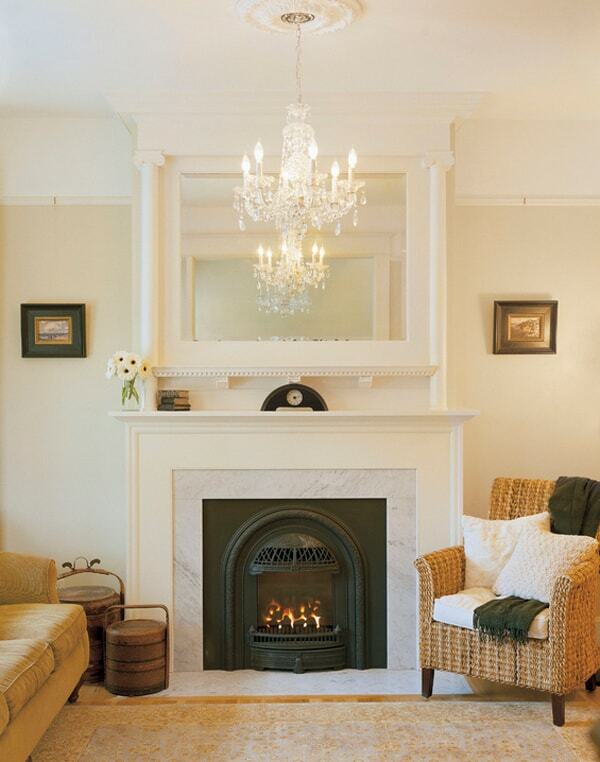 Adding decorative detailing around the fireplace, such as the hearth and mantel, will enhance the character and style. 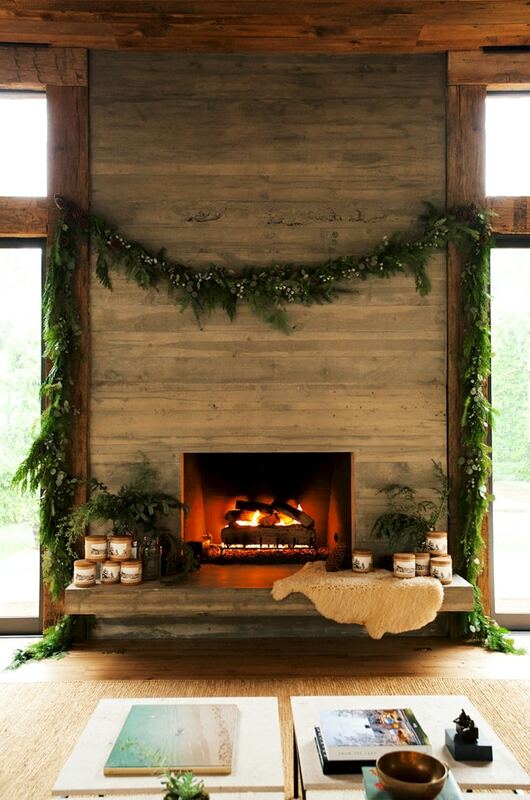 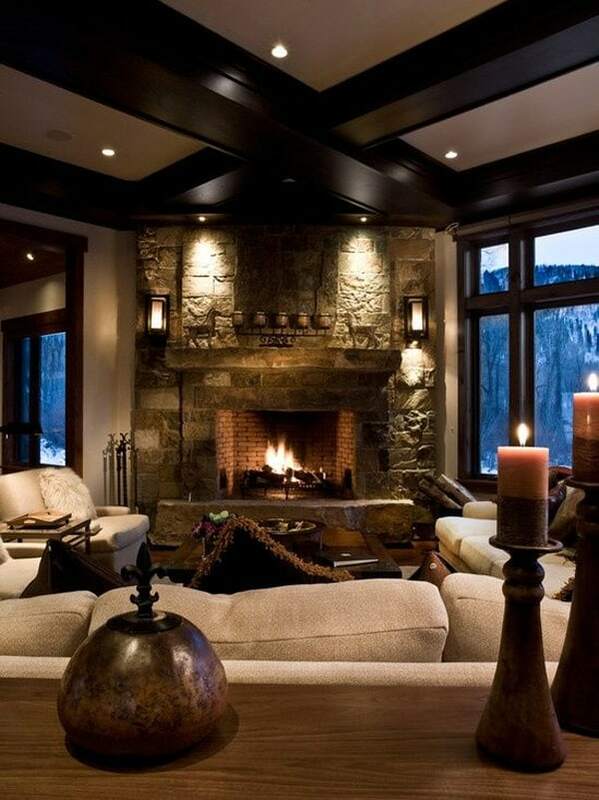 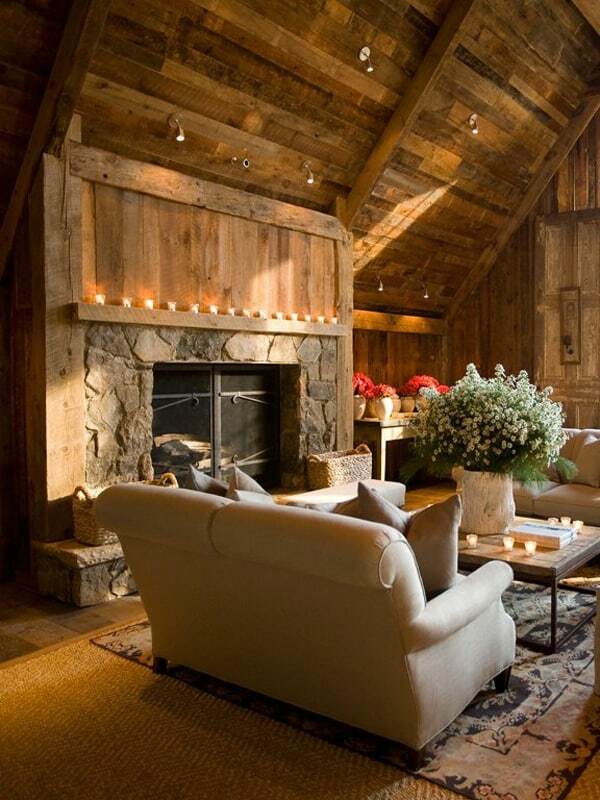 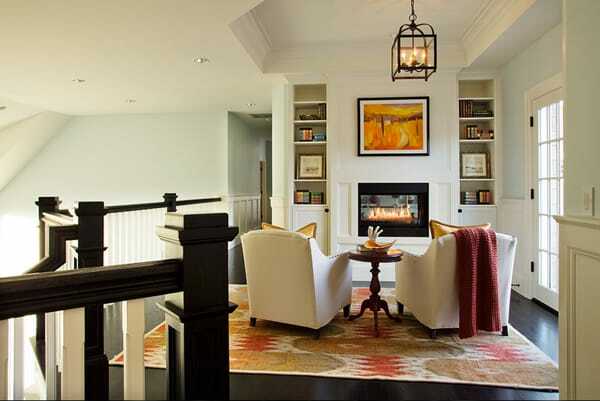 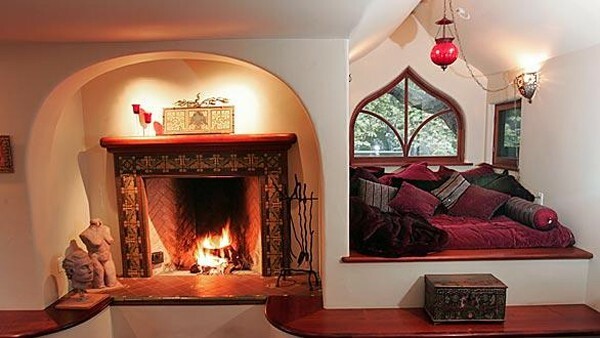 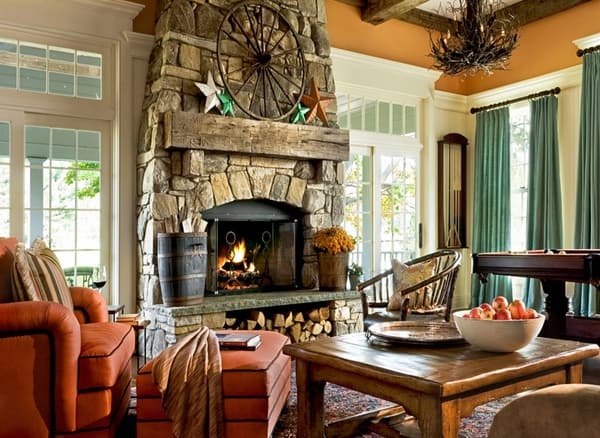 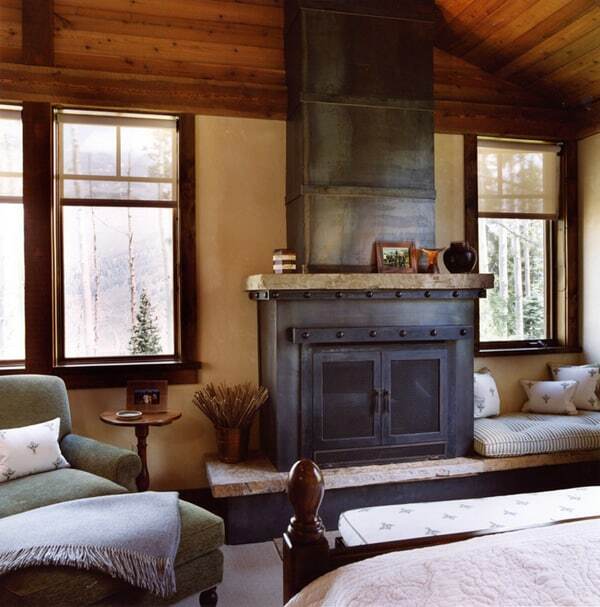 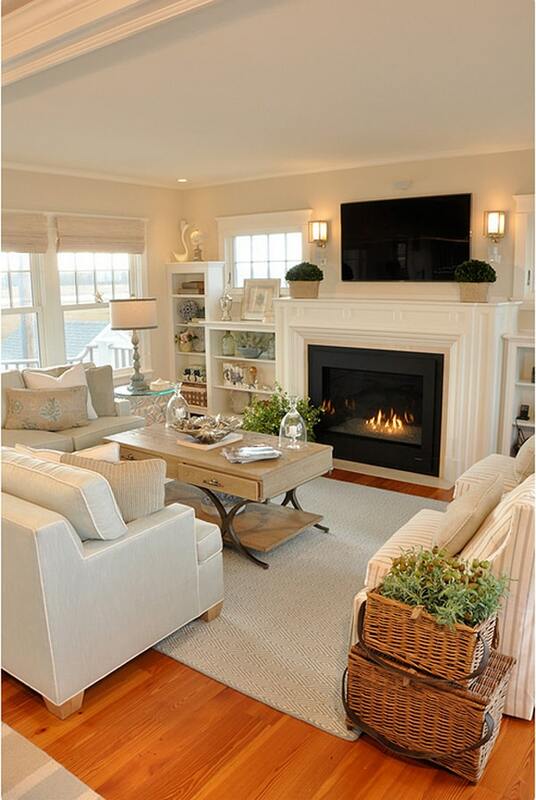 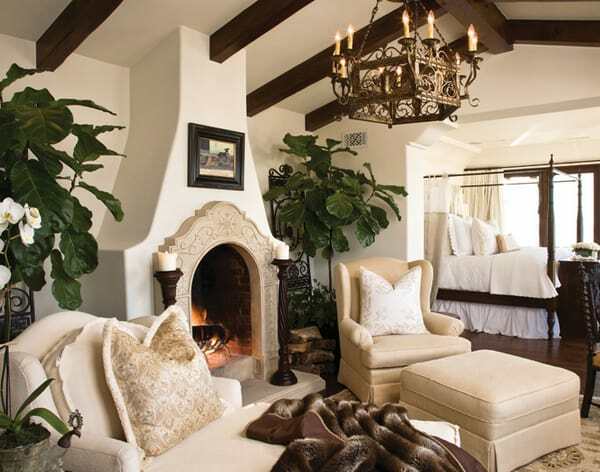 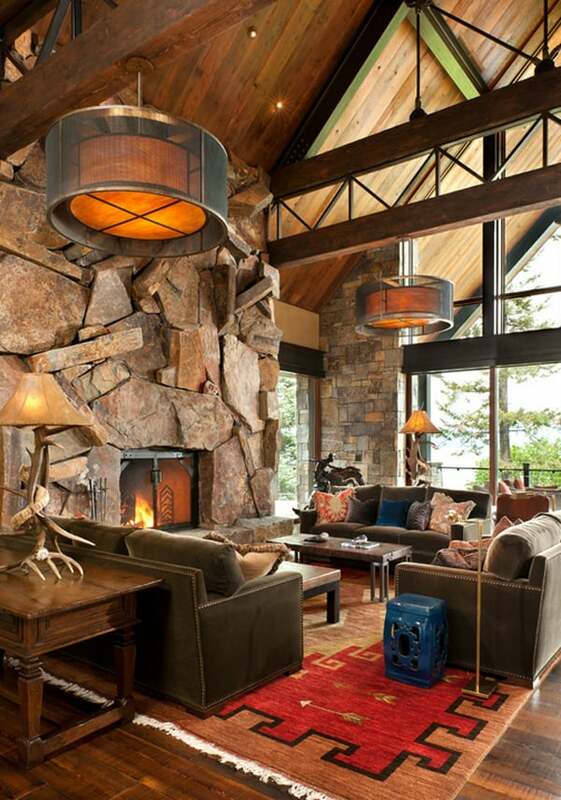 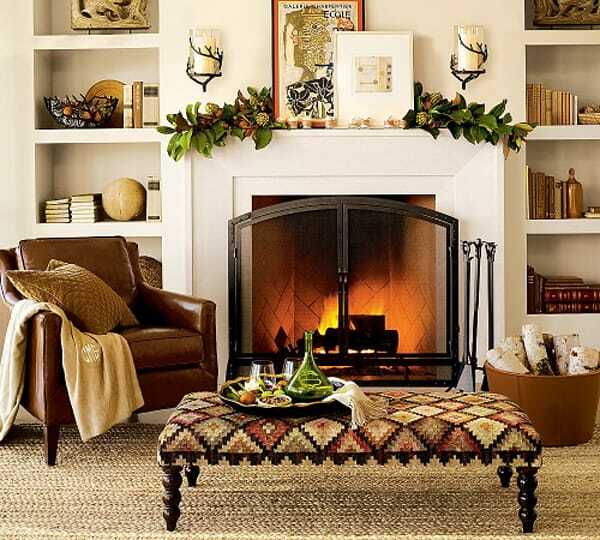 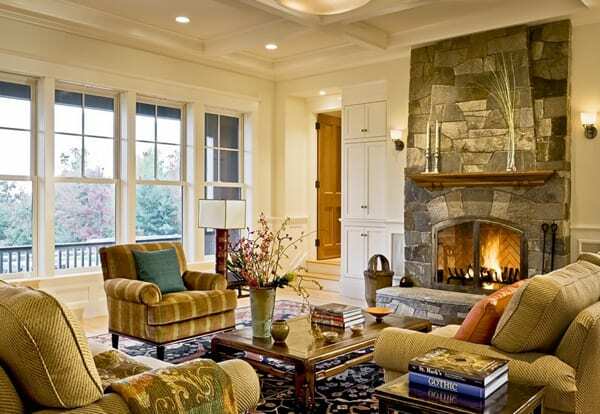 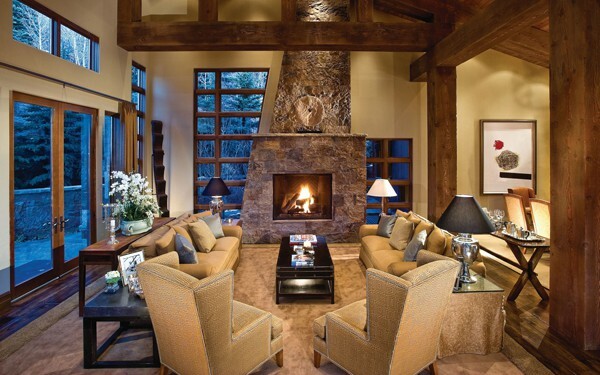 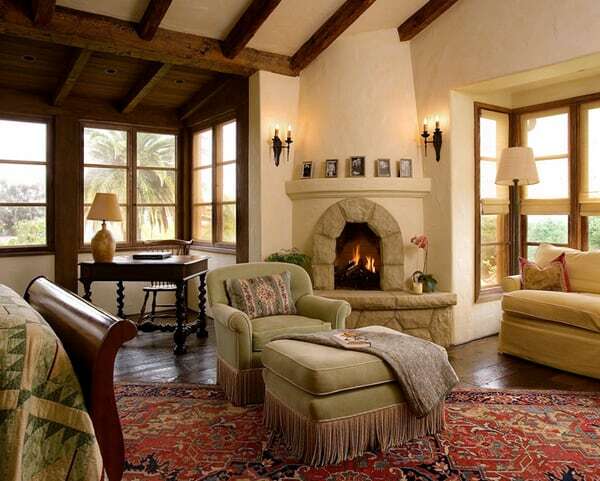 The good thing is that it’s to too difficult to turn a fireplace into a really luxurious and warm part of any space. 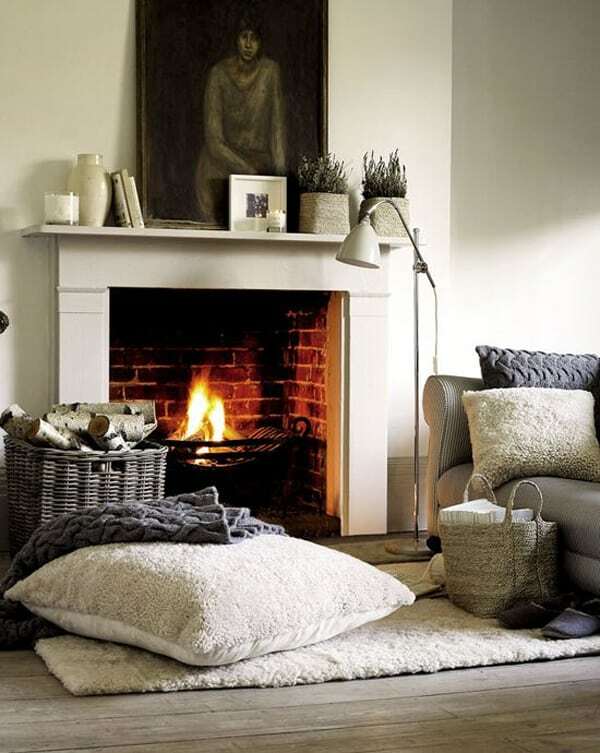 Just add a few pillows, the right artwork, the correct placement of furniture around the fireplace … these little things can really add up to a warm house. 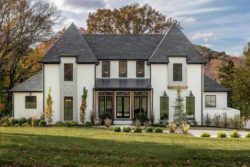 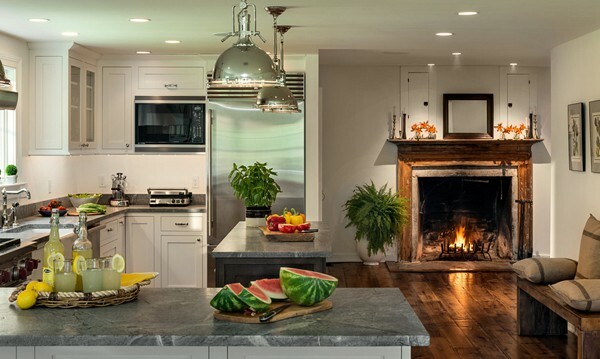 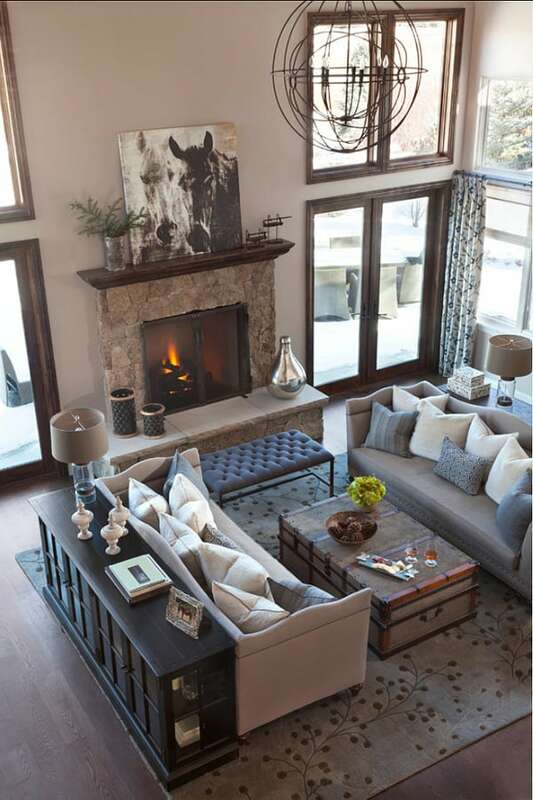 Whether you prefer a stone surround or something a little more modern, the collection of fireplaces we have gathered together for you will prove that a striking design is all it takes to become center stage in these stylish spaces. 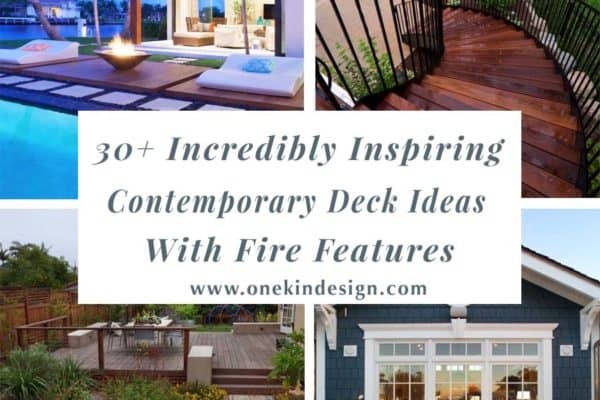 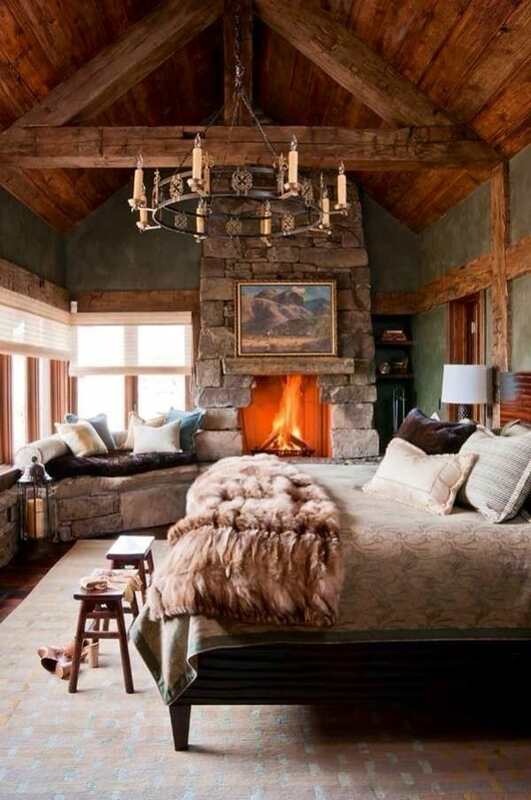 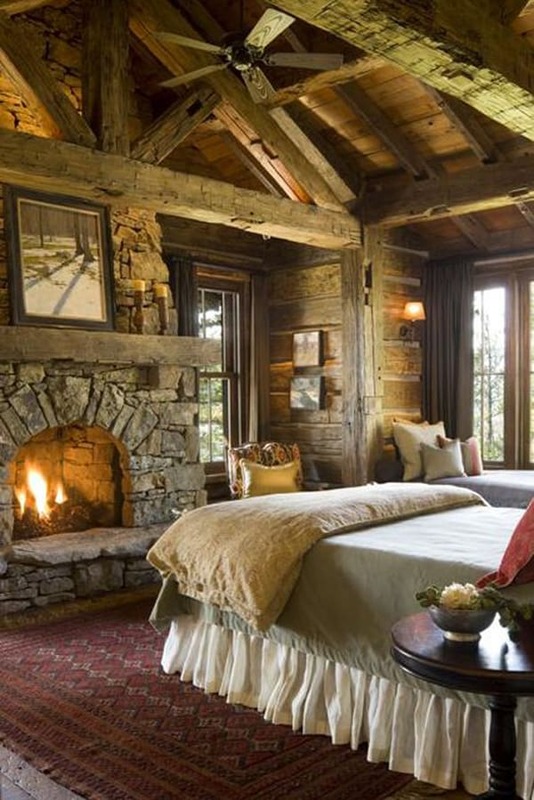 If you are looking for more fireplace inspiration, have a look at one of our past articles on 56 Clean and modern showcase fireplace designs and 55 Spectacular and cozy bedroom fireplaces. 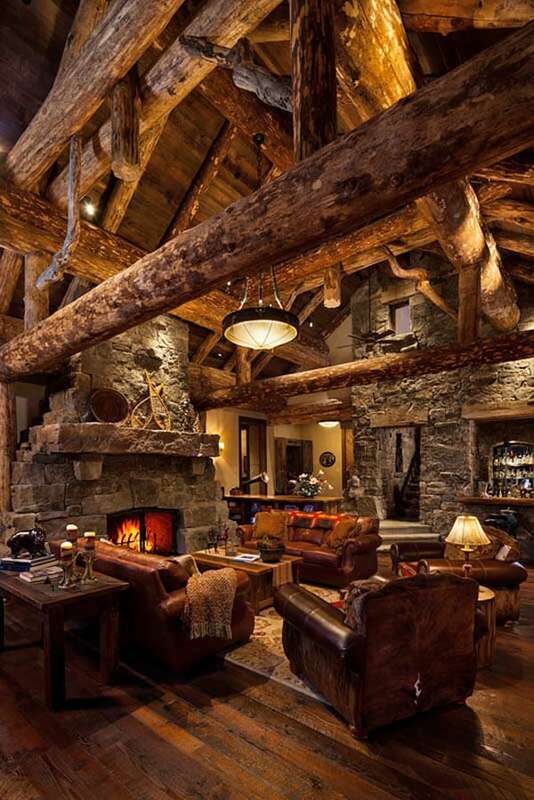 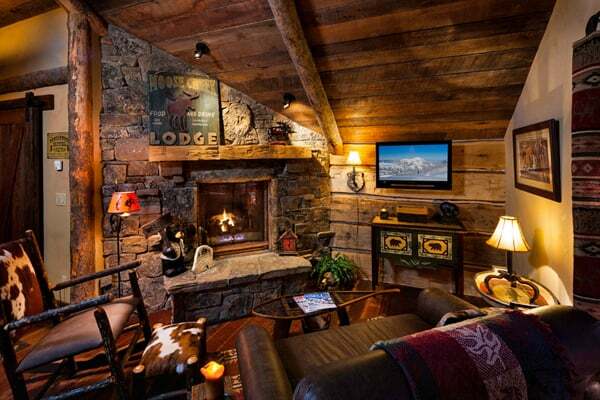 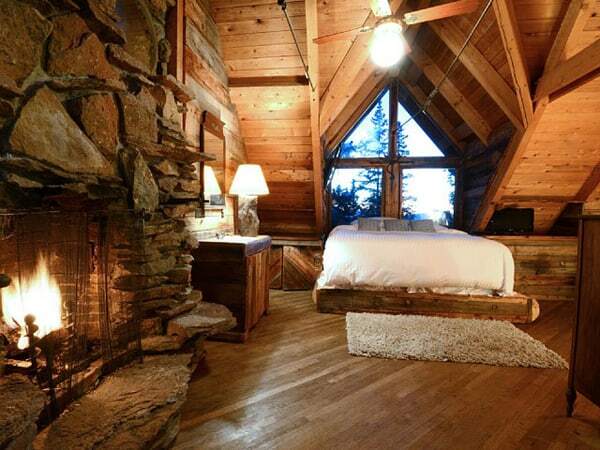 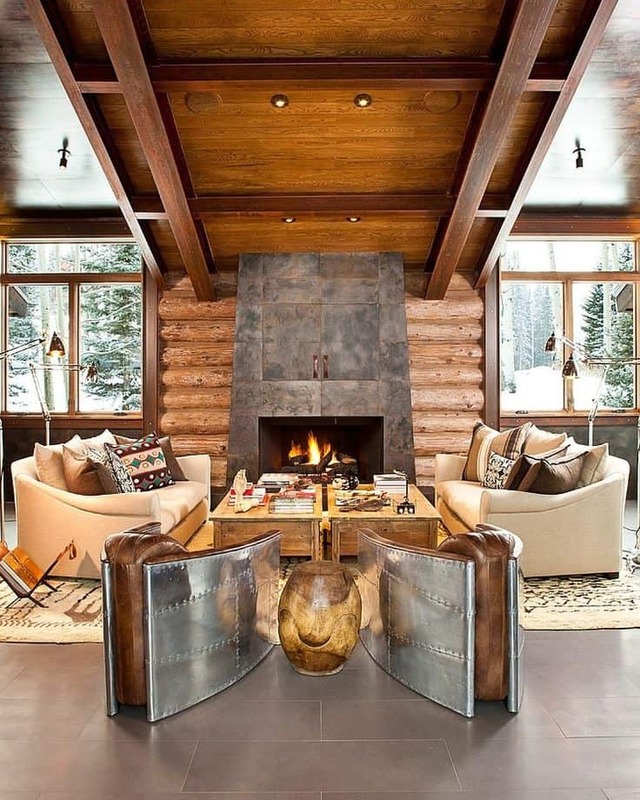 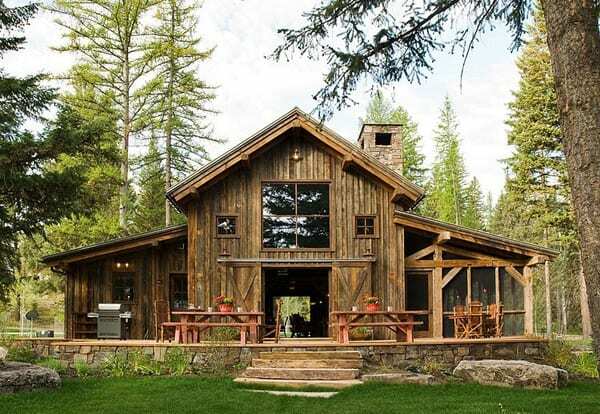 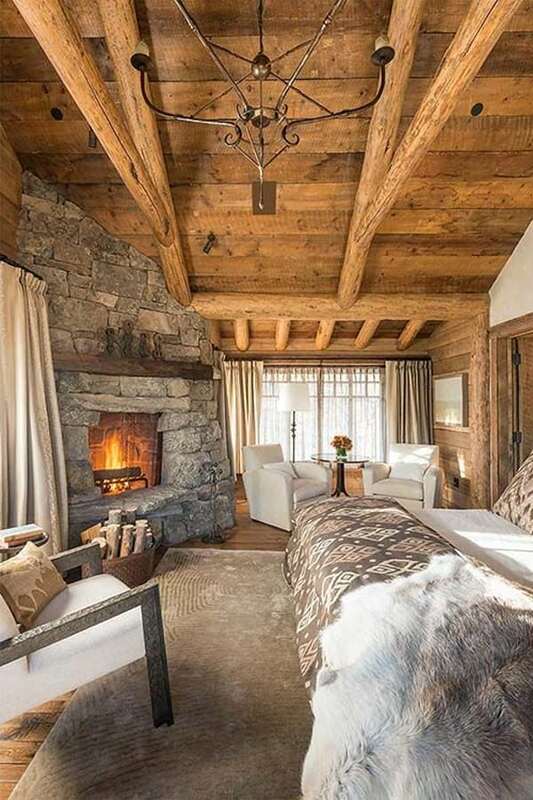 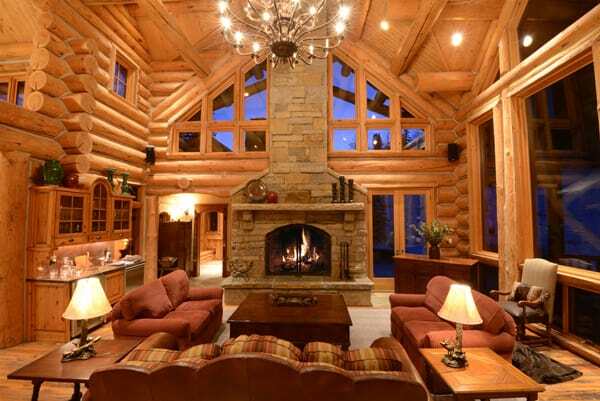 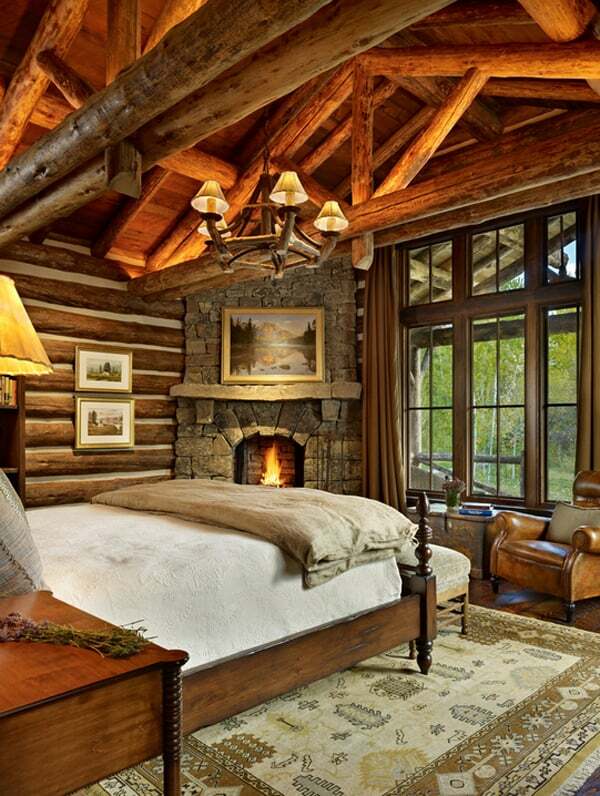 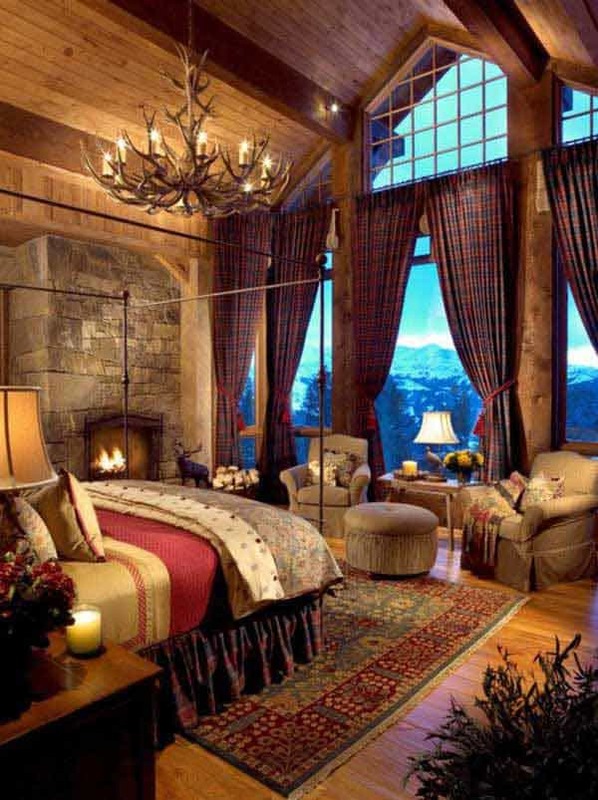 Too see more images of this stunning cabin in Telluride mountain village, Colorado, click here. 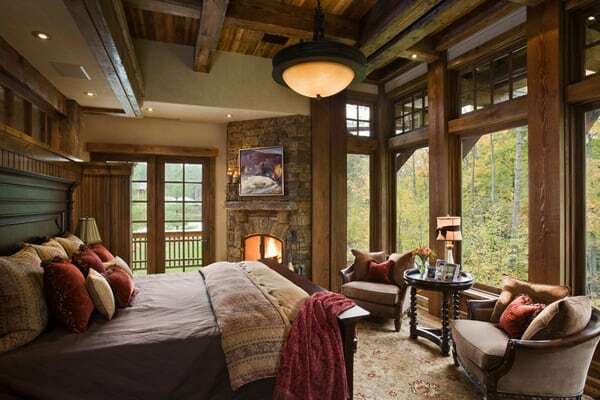 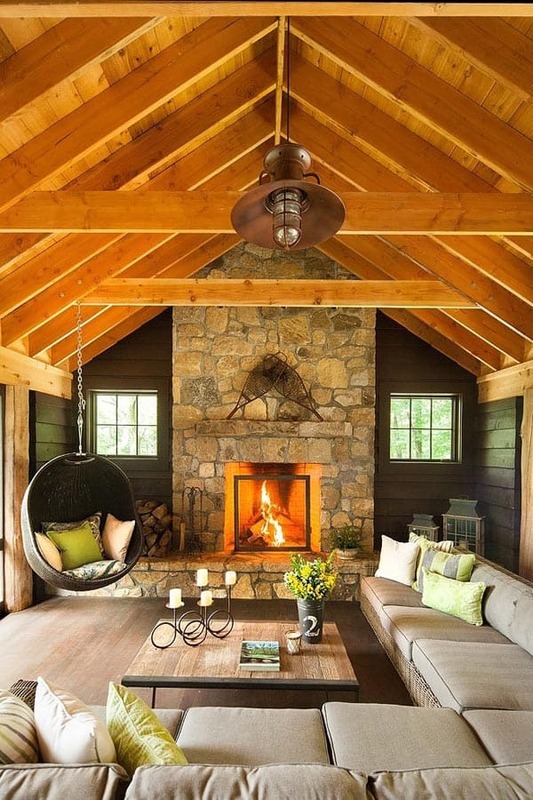 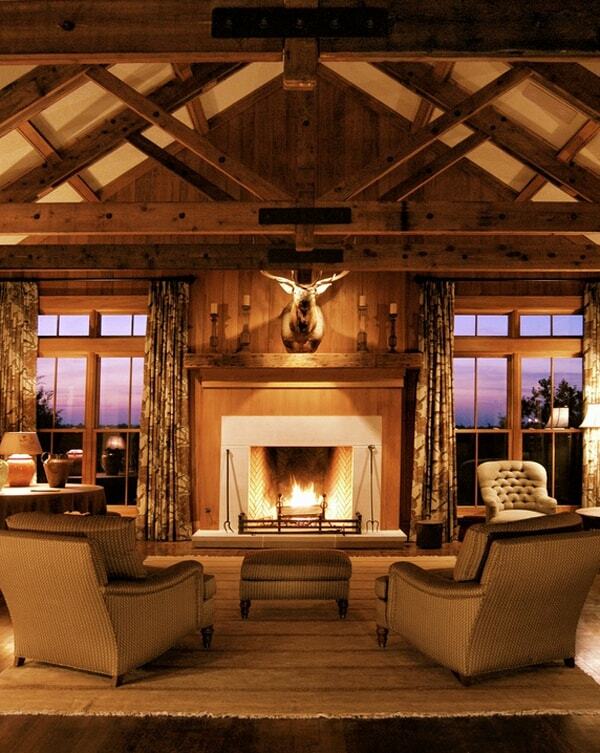 To see more images of this gorgeous weekend getaway residence in Upstate New York, click here. 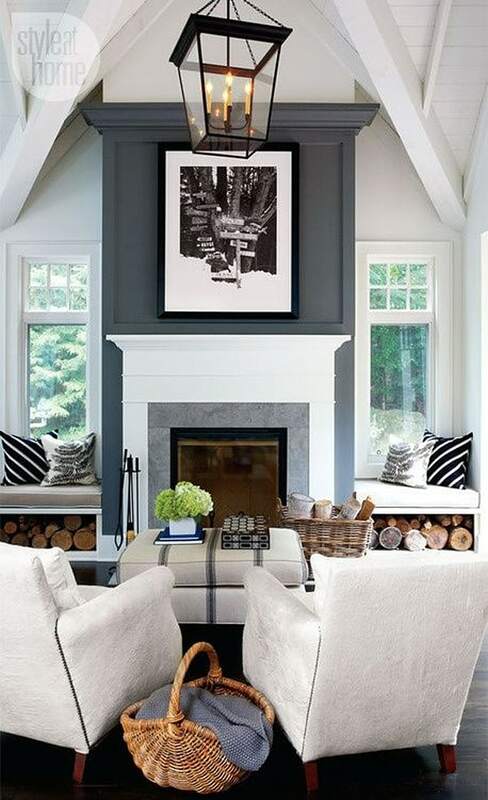 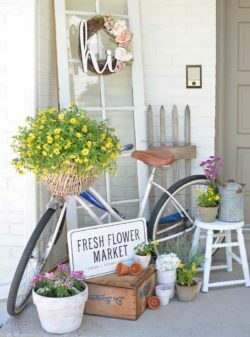 To see more images of this traditional style historic home in the countryside of Massachusetts, click here. 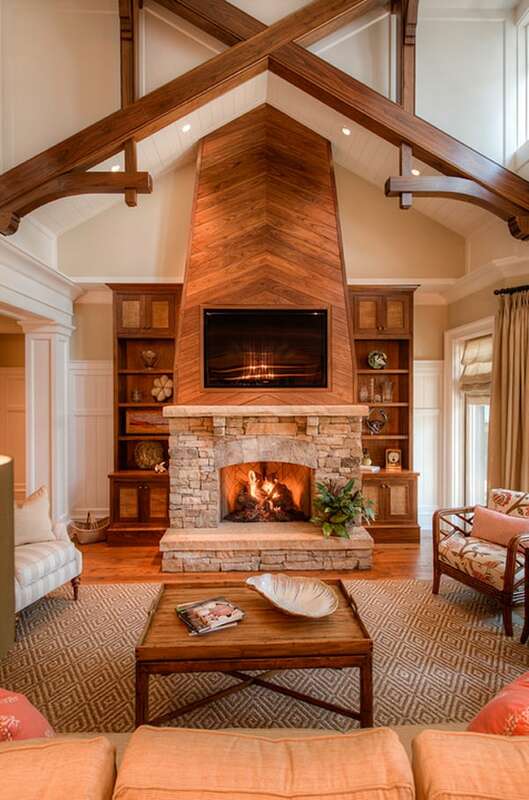 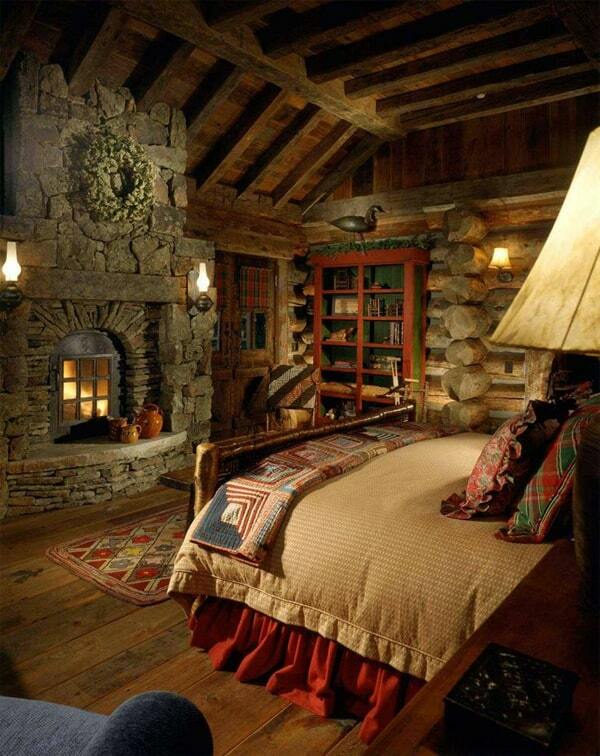 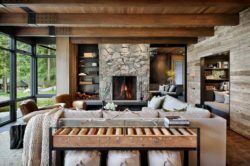 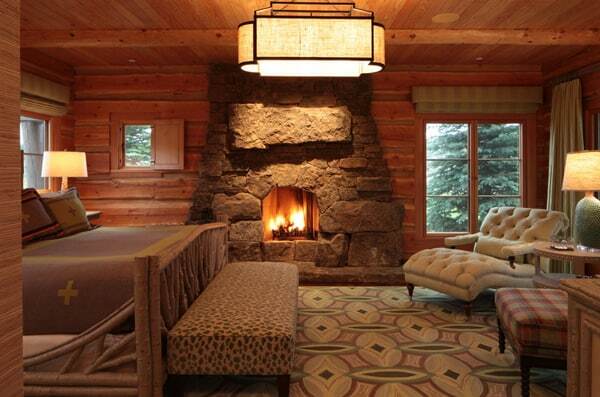 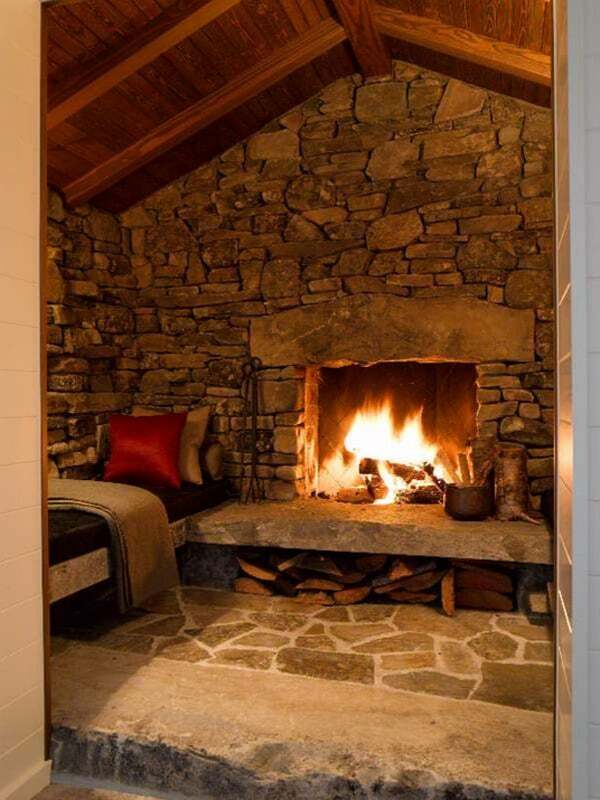 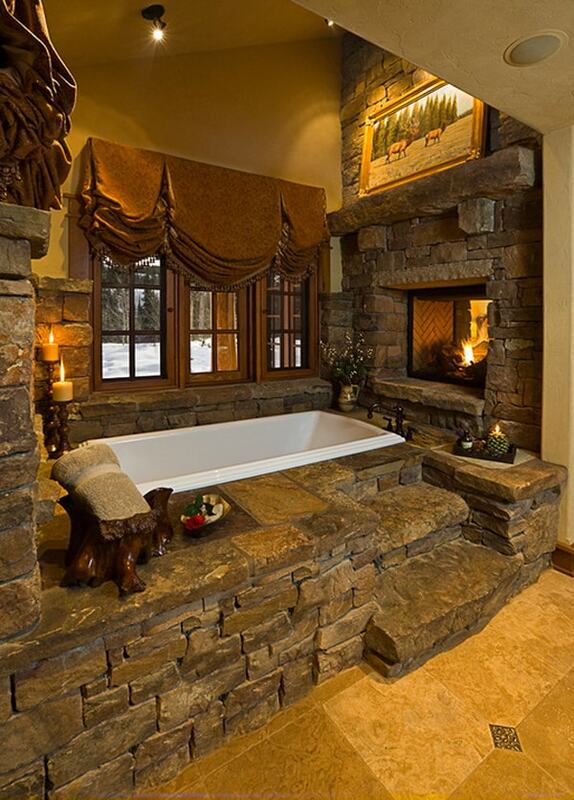 What makes this fireplace fabulous is that it has a built-in area for you to keep the logs for the fire. 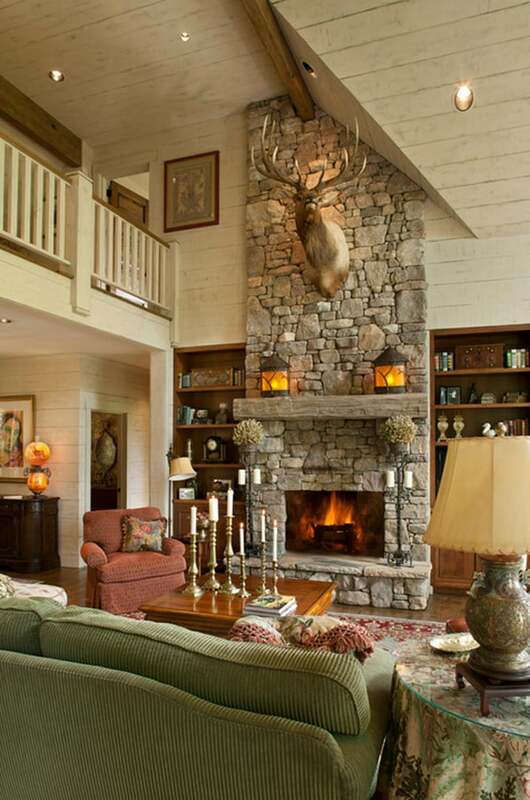 This really adds to the charm of the fireplace. 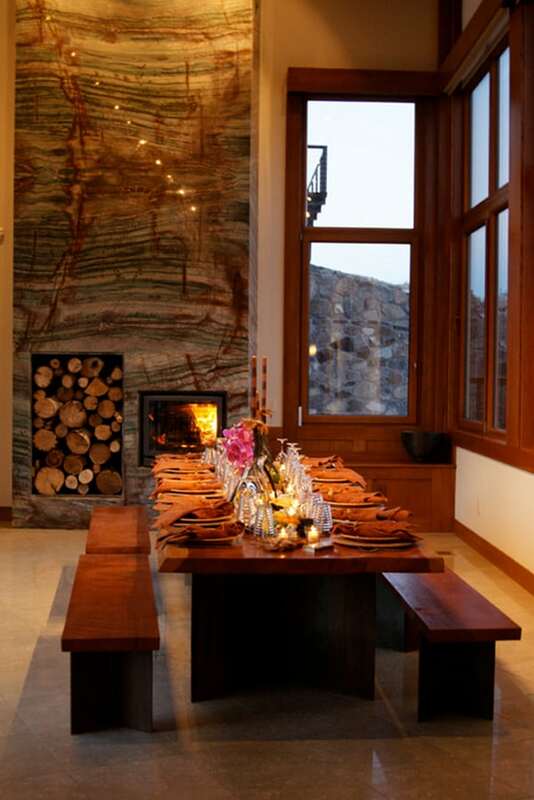 The logs themselves form a sort of structural artwork in the wall. 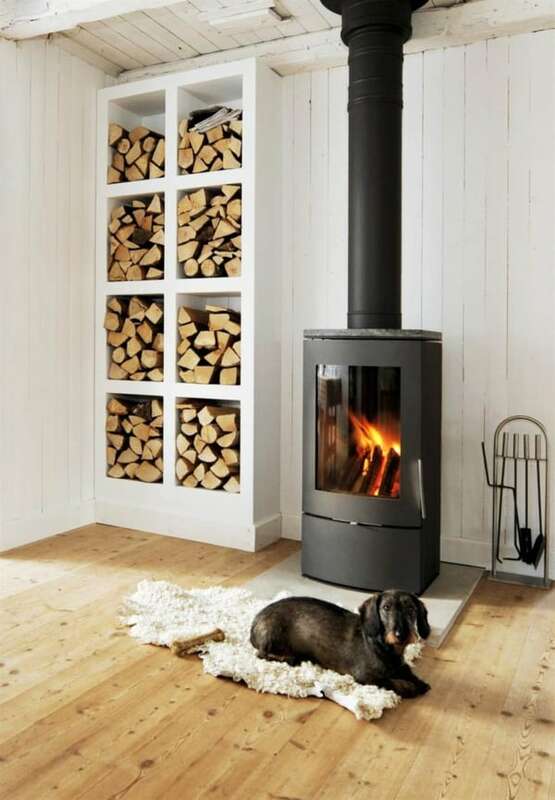 The fact that you can actually see the wood that will be used to create the fire makes you feel so much more in touch with the natural elements than you would be if the wood was hidden away until it was used.